Sometimes, there is a feeling between two people which can make their union very strong. Have you ever ask yourself how two people have a feeling of belonging to someone? Let's take a look at zodiac signs and find out best couples for a happy and long-term relationship. This is the most balanced couple. 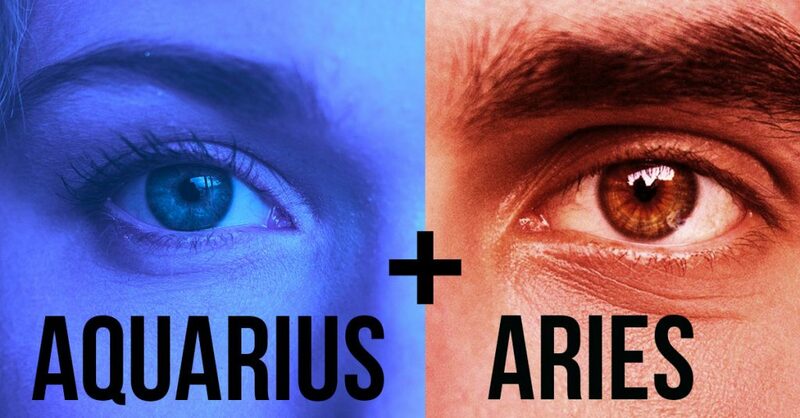 Aries is rational and goal-oriented, while Gemini will make sure that Aries keep their mind clear. Of course, their life won't be always easy. There can be challenges they have to overcome. Aries have to be more patient and Gemini have to keep romance between them alive. Both of them are hard workers. They don't stop until they get the result they expected. So, when they act as a team, they can archive high degrees of professional, social, and personal development. But, each of them has their Imperfections. Aries have to be careful to not let their emotions destroy the relationship they have with Libra. And the Libra have to be careful not to seduce anyone because no one wants to mess with Aries. Virgo and Aquarius are both emotional. They are a perfect couple. The Aquarius will always keep things interesting between them and the Virgo will always encourage Aquarius' ideas. They will never get bored together. They understand that relationship needs an endless work. Virgo has to balance their perfectionism with Aquarius' love for adventure. If they can compromise, nothing will destroy their relationship. If they get together they will make a very passionate relationship. Cancer will always keep romance and Pisces will notice and appreciate every manifestation of Cancer's love. Pisces won't always be open to Cancer and will have some secrets. Cancer just has to learn to be patient and not overreact. This is a pair of a thinker and a leader. They are very powerful together. While one develops a plan, other gets it done. Therefore, there's nothing impossible for them. The only problem is they are both depressives. But they can work together and rely on each other's wisdom to solve that problem. Sagittarius needs freedom. Their spirit has to be free. They love adventures and experiments. Taurus prefer to stay in their comfort zone. You may ask yourself how such different people can make the best couple. It is all the philosophy of yin and yang. The only challenge they might face is the Taurus refuses to give freedom to the Sagittarius. But it's not a big problem for them. The most important thing between them is love. So they can solve any problem. Both of them love adventure. Besides, they are hard workers. The Scorpio will provide loyalty and passion to the relationship. Instead, Cancer will keep things fresh and interesting. This is a very emotional couple. They have to work as a team, not to challenge each other. Only, in that case, they will make the most powerful relationship. These two are like mirrors to one another. They were made exactly for each other. They also have a very strong sexual connection. They both are positive and bright individuals. The only problem they can have is a fight for leadership. So, they need to keep balance and openly talk about things that bother them. These two signs understand each other like no one else. The Scorpio will bring the passion and interest in a relationship and Pisces will calm things down when they get too hot. They feel harmonious when they are together. But they have to be careful in their relationship. Scorpio's controlling nature may bother Pisces. They have to respect each other's personal space. Both of them are full of energy and very ambitious. They both born to be leaders. They always focus their attention on the next goal. It's easier to achieve goals when they are together. On the other hand, the Capricorn tends to bring some negativity into the relationship. This is why Capricorn have to bring positive things in life. They are more intellectual when they are together. They can make everything better. They just have to combine their powers. But they have to think twice before they act or say something because they can say random things they don't really mean. They are the best example of a long-term relationship. The Taurus is a person who prefers to spend his evening on his cozy sofa watching their favorite TV show and then go out to party. The same is about Virgo. But this strength can transform to weakness. Cozy homely life can make Taurus jealous.